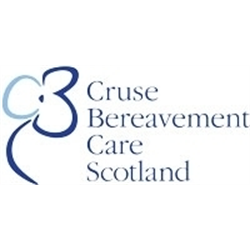 Cruse Bereavement Care Scotland is the leading provider of bereavement support to communities throughout Scotland. Our client services are delivered by 270 specially trained volunteers across Scotland, supported by a small yet mighty staff team of 12. An exciting opportunity has arisen for a dynamic and experienced manager to oversee the day to day management of our North and East Areas of Cruse Bereavement Care Scotland, the geographical coverage of which, ranges from Orkney to Fife. Candidates are required to have excellent interpersonal and organisational skills to provide managerial support, which is often provided from a distance. Excellent communication skills are essential as the postholder is required to respond effectively to a wide range of enquiries which includes bereaved people. You will be required to establish effective working relationships with a range of Cruse volunteers and staff, as well as statutory funders and grant making trusts. The successful applicant will have responsibility to lead on two projects as part of their role, therefore experience of both volunteer and project management would be advantageous. We strive to be a Family Friendly employer. If you are interested in the role, please be aware that we are open to job share applications and flexible working patterns. If you would like to discuss this informally before applying, please don’t hesitate to get in touch. Candidates should have excellent organisational, interpersonal and IT skills to provide administrative support to our West Area volunteer team (covering, Glasgow, Lanarkshire, Ayrshire, Inverclyde and Dumfries). We require someone with excellent communication skills, who can respond effectively to a wide range of enquiries including bereaved people. You will be required to establish effective working relationships with a range of Cruse volunteers and staff, as well as statutory funders and grant making trusts. In addition to general administrative duties, the post-holder will be provide support to our West Area Manager, to ensure Area targets are met as outlined in our Strategy and associated Implementation Plan. This post will be based at our office in central Glasgow, with occasional travel throughout the West Area and to our Headquarters in Perth required. Excellent communication skills are essential as the postholder is required to respond effectively to a wide range of enquiries which includes bereaved people. You will be required to establish effective working relationships with a range of Cruse volunteers and staff, as well as statutory funders and grant making trusts. Experience of volunteer management would be advantageous. Due to the wide geographical spread of the role, the postholder will be required to travel occasionally to each of the service bases within our West Area and to attend occasional meetings in Edinburgh and Perth. Saturday working is also required from time to time, with time given in lieu.